A few gifted keyboard players can just sit down and play what they hear – either in their heads or from a CD – but most musicians have to take a more methodical approach to developing this seemingly magical ability. 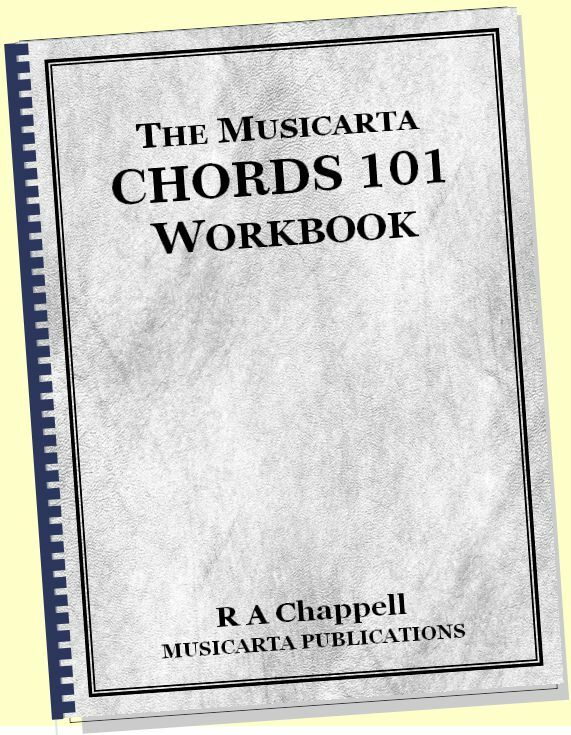 Your in-depth familiarity with the Canon chord sequence provides a great opportunity to develop your ‘playing-by-ear’ skills. 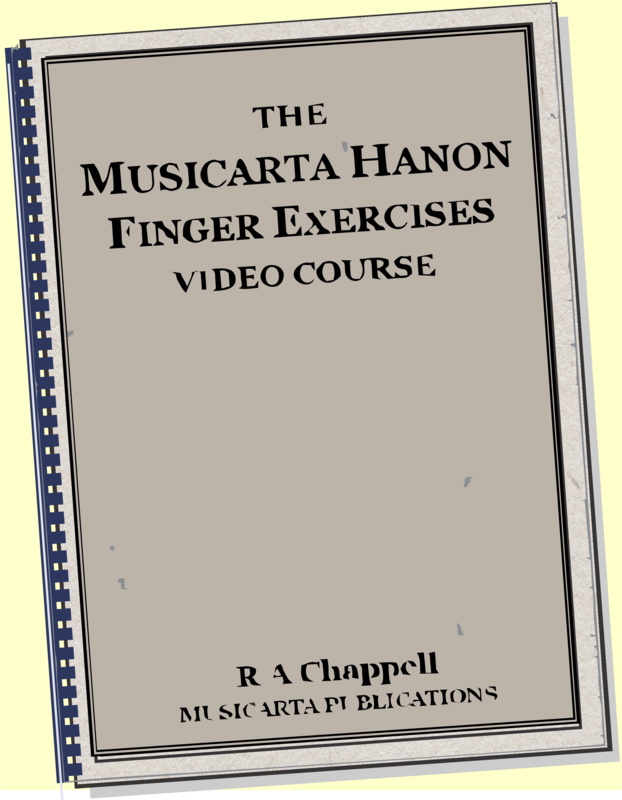 You need to be able to say and play the Canon chord sequence – roots and triads – well. Revise the chord sequence. Play-and-say the original Canon chord sequence (usual triad string, roots in bass) in two places. If the bass note is the root, and you can identify the bass note, you will usually have got the chord. ‘Sing’ the chords to the bass line. It doesn’t matter how good you are at singing, or even whether you sing in tune; making the effort is instructional in itself. The first set of chords starts and ends on D. The chord is played once, then played a second time and named. There are five sets. 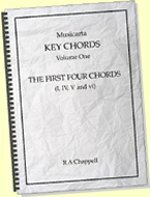 The second set of chords does not necessarily start on D.
The same exercise with the chords an octave lower. The chord sequence in the next set of audio files is always the standard Canon sequence and the bass note is always the root, but the right hand plays inversions of the Canon chord sequence triads. Identify the highest note and play the right hand inversion of the standard Canon chord sequence chord which has that note at the top. The top note always moves the smallest distance possible between chords. Make notes using a table like the one suggested in Module Nine (example only). Here is a MidiPiano performance of the CPM_M15_07 to 12 MIDI files for you to check your answers. Playing along with the up-to-speed MidiPiano performance is a good exercise. These again are the standard Canon chord sequence but with varying RH inversions over the ‘slash bass’ bass line. Identify the top note. 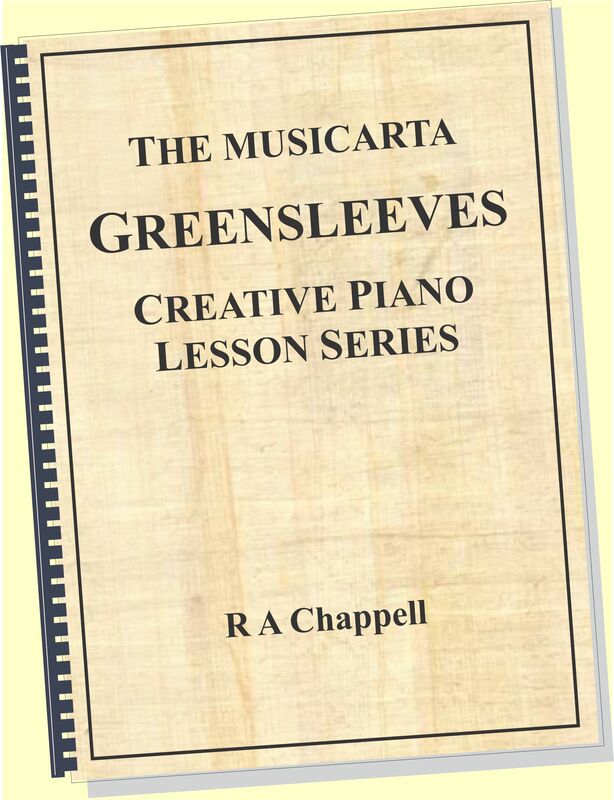 Here is a a MidiPiano performance of the last six batches. In the great wash of instrument parts in the Canon, the F sharp minor chord sometimes becomes a D major ‘slash chord’ – D major with F sharp in the bass (D/F#). Similarly the second G chord sometimes gets note E at the top and becomes an E minor slash chord Em/G – E minor with G in the bass. E minor is the only chord in the key of D major that doesn’t appear in the original chord sequence, so this ‘completes the set’. Incorporating both variations, you might have something like this. ERRATA - the Em/G chord in bar 6 of this sequence is mis-labelled 'G'. This chord sequence might be ‘realised’ (brought to life) like this. 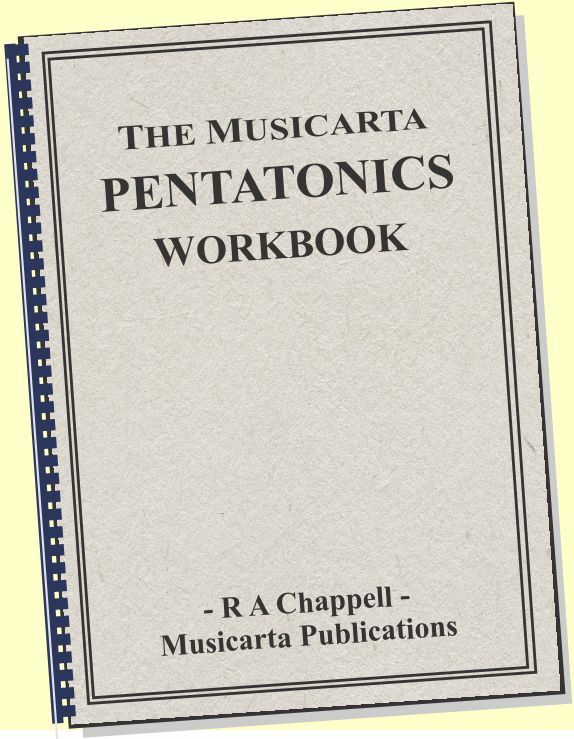 You were promised earlier that studying the Canon chord sequence in depth would help you play lots of other music. Here are four ‘real riffs’ such as you might hear on a CD and want to play. They all use only the Canon chords, though not always in the exact same order. This riff uses the Canon sequence as far as the G chord, then reverses along the chord sequence back to the start. The chords are played ‘plain’ first. Be satisfied with something close to the actual syncopation in the recorded riff. The point is to ‘have a go’ and get a riff of your own out of the exercise. Another reversal, but this time only as far as B minor, then with extra material. A ‘slash chord’ sequence with the alternative D/F# and Em/G chords worked in. Getting the top notes of the RH inversions is essential. Music is often made more interesting by stretching phrases. We expect music to come in four-bar or eight-bar phrases, so an unexpected ‘extension’ keeps the interest up. This variation has a two-chord extension made by slipping in chords Em/G and Fím/A in bars 7 and 8 to make a 10-bar phrase. 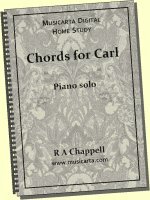 A typical song chorus chord sequence made of Canon chords, but in a different order. When you’re trying to work out a song from a CD or audio file, you have to train yourself to listen through the fancy surface to the chords beneath. The supporting chords you should hear are played first in the video. Supporting chords audio only performance. Only afterwards do you put in the rhythm, fills and melody. This riff breaks the eight right hand quavers of the bar up into groups of three, three, and two (3+3+2) – a classic pop/rock quaver grouping. The broken chord pattern is this. 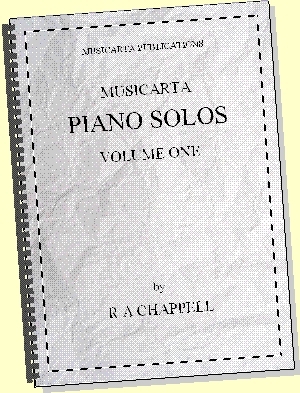 The two question marks stand for ‘wildcards’ – usually next-door notes connecting the top note of the bar smoothly and pleasantly to the top note of the next bar. As with the previous riff, you want first to listen through the texture to the chords and learn those before you even attempt the broken chord pattern and the connecting notes. Trying to work out all three things at the same time is not a good idea. Here are the underlying chords you should hear. This module is chiefly about training yourself to hear chords, but you will probably want to play the ‘real life’ riffs offered above. They all have video demonstration files, so you can crib the actual notes by sight if you can’t get them by ear. Also, load the drum backing tracks into Audacity and get them looping with shift+spacebar, then see if you can work up your own riffs a bit like what you hear. 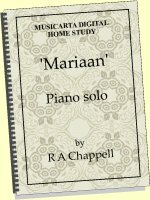 Developing your own keyboard style and material is much more satisfying than learning to play someone else’s performances.